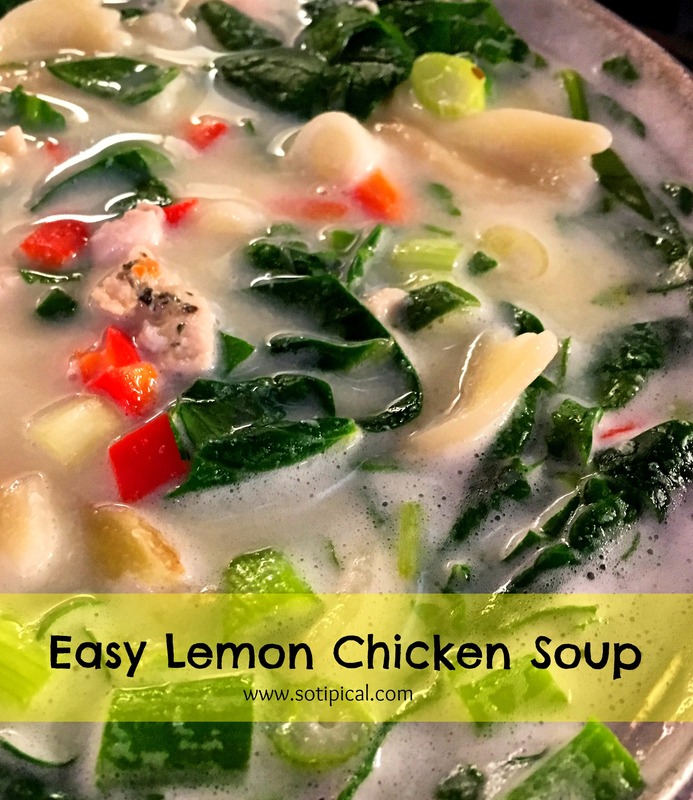 When sickness hits our house, I always make a pot of this easy lemon chicken soup! It hits the spot and leaves us feeling full of warmth and comfort! I even tend to make it before my kids have vocal performances because it soothes the throat. I had some leftover grilled chicken and I often have a container of cooked rice or noodles in my fridge. These are perfect for making this soup. You can cook them prior to making the soup, but what I love is how quickly this comes together with leftovers! Another thing to keep in mind is that when you cook rice or noodles just prior to making soup, it will often absorb much of the broth in any leftover soup. When you go to heat some up later, you’ll find that much of the broth is gone and the rice or noodles are now plump and soggy. Begin by adding your chicken broth to a large pot over medium heat. As it begins to warm up, add the diced chicken. Now add your chopped veggies and noodles or rice. Allow to simmer until the veggies are tender. Once the broth is hot, reduce heat to low. In medium bowl, add the lemon juice and two eggs. Using a hand mixer, beat the mixture until foamy and well blended. Remove 1-2 cups of broth and add to a 2 cup Pyrex measuring cup. While beating the egg lemon mixture, VERY SLOWLY drizzle in the hot broth to temper the egg. If you do this too fast, the egg will cook in clumps, rather than blend and thicken the broth. Once you have add the broth from the measuring cup, stop beating it and while stirring, add the egg lemon mixture back into the pot. Add salt and pepper to taste. Enjoy! 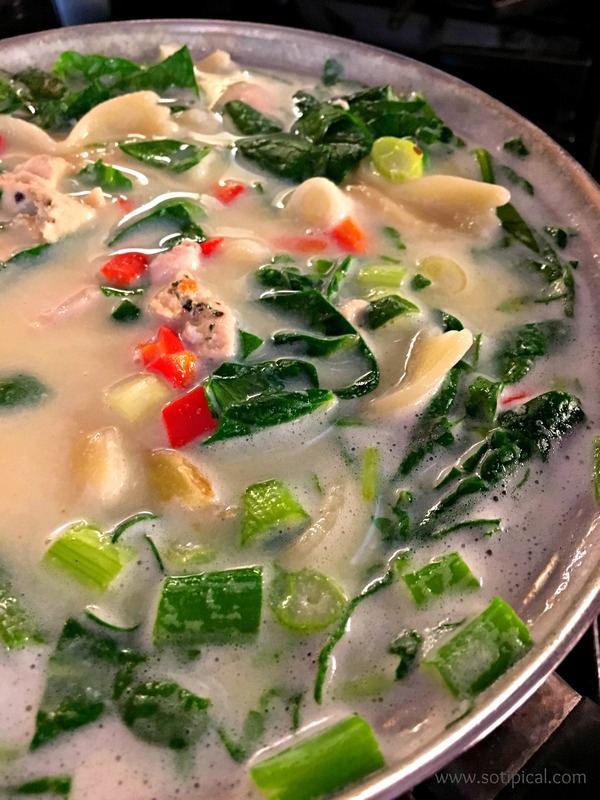 You can add any veggies you like to this easy lemon chicken soup. I sometimes use carrots and celery, but I was out, so I just used what we had on hand.